I’m a firm believer in going beyond what is normal or comfortable and stretching yourself. For most people going into the slum communities and working is a stretching experience–but for me, now that I’ve been here almost a year, going to the slums is a part of life (a part that I really love). What is uncomfortable (and slightly terrifying) for me is working with a large groups of highly active kids in a relatively small space. 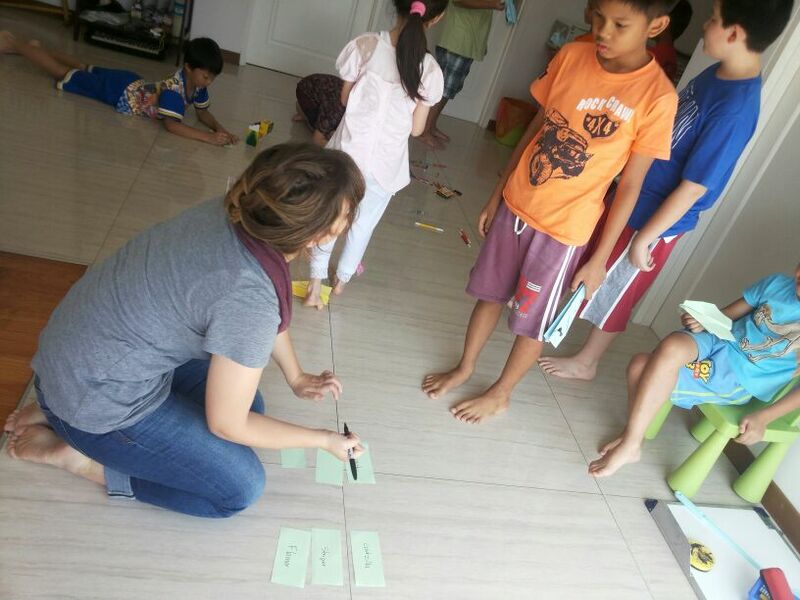 My housemate, Venus (the Sunday School Coordinator at IES West), decided that this summer she wants to visit all the kids from Sunday School and bring activities to their homes. Needless to say, she recruited me regardless of my expressed opinion of terror. She told me that she needed help and that it would be fun…so I went with her. 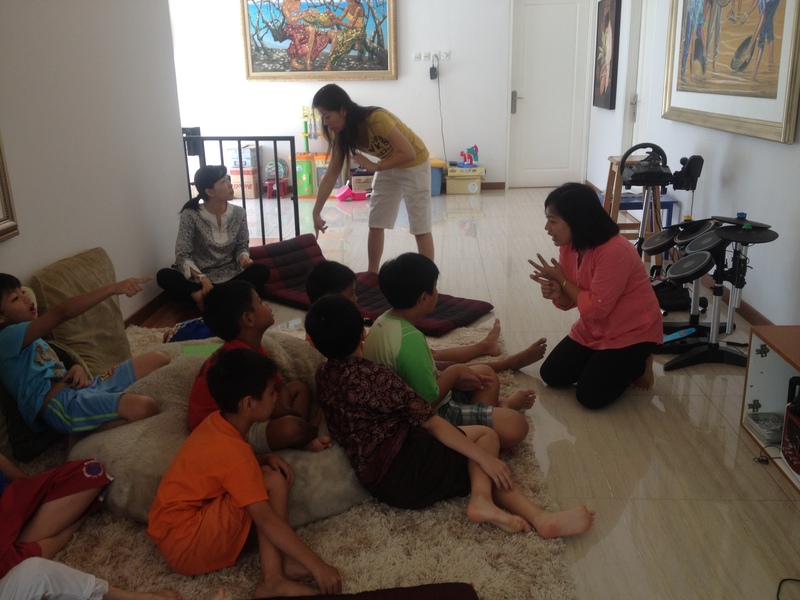 The two boys from IES had invited seven of their friends to come—giving us a total of eight boys and one girl. Venus started off with an introduction and some songs, before it was game time. The day before Venus and I decided that it would be fun to have a paper airplane design contest and race. 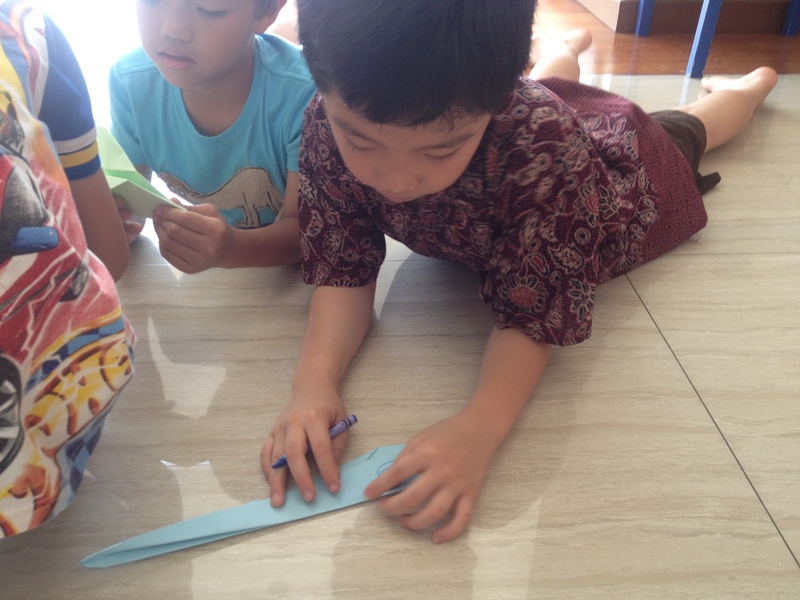 Everyone got a blue or green sheet of paper and we showed them how to make planes. After that they designed their plane and had to give it a special name and logo. Once everyone was done designing, they had to come to me and register their plane to race in one of the three racing phases. The kids lined up and threw their planes. In the final plane run-off, “Blue Batman” won the race! After the race, Venus led a short Bible study while I got the next activity ready. A few weeks ago, Venus and I were looking on pinterest for fun summer snack ideas and came across fruit kabobs. We agreed this would be the perfect snack and activity combined into one! 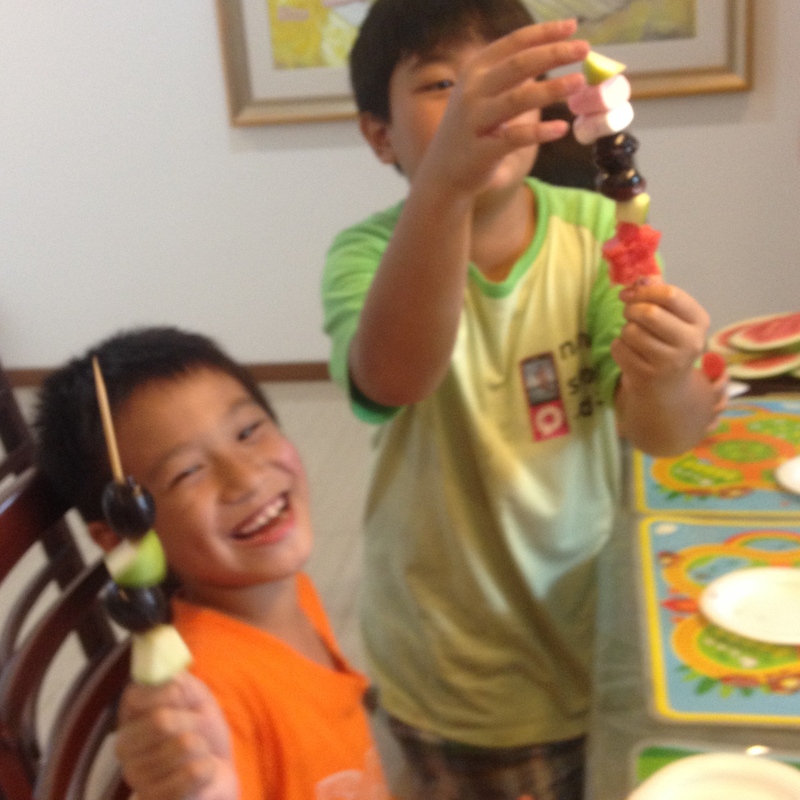 It took the kids a few minutes to understand the concept, but once they got it—they went crazy with their kabobs! 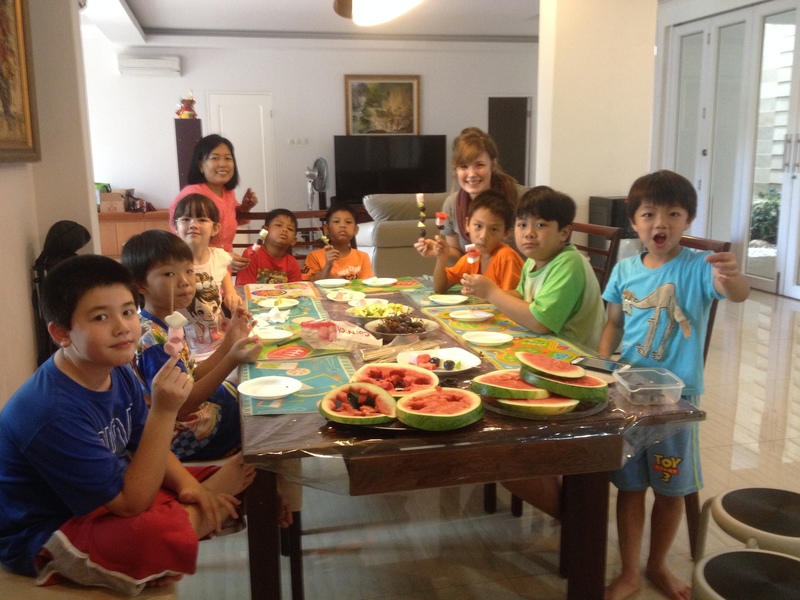 I had such a blast with the kids! 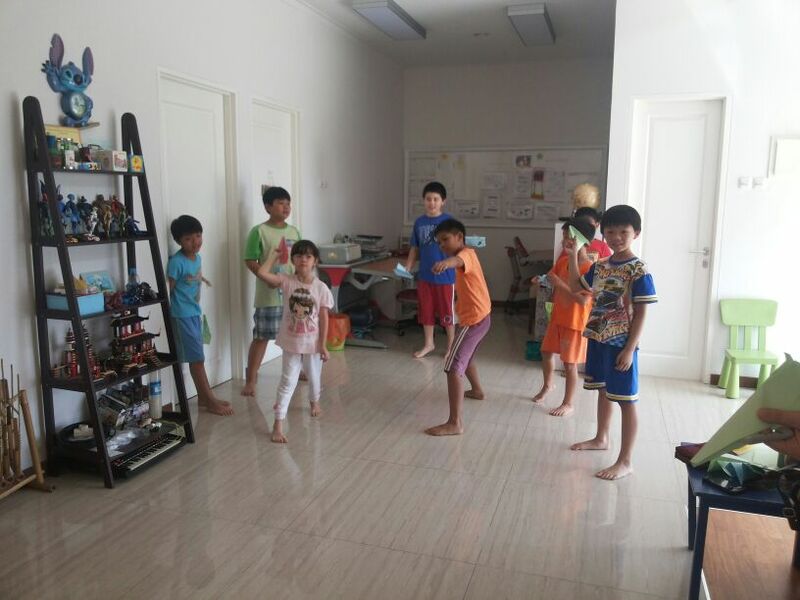 It was so fun to get to play and see them enjoy the little things. It was a good reminder to me of why it is so important to stretch yourself—because if you only do what is comfortable, you may be missing out on something really great.